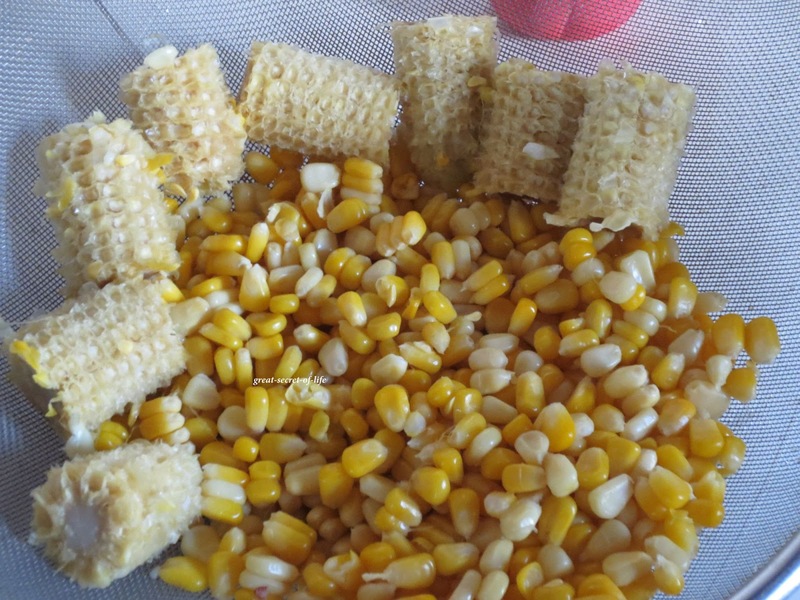 Cook the corn and take the corn kernels. When it cool down grind it with 3/4 cup of milk. Strain the juice/milk from it. 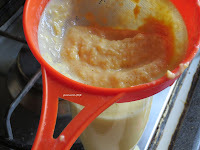 Add in reminding milk and mix well. 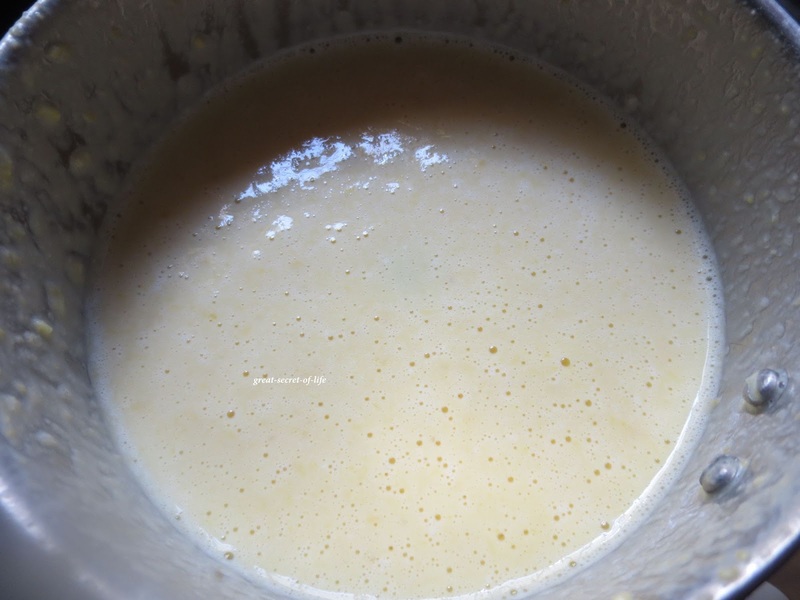 If it is too thick add more milk/water. 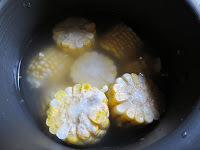 That sounds really cool and unique, never even thought about it .. Corn Drink !!! Nice drink with corn. Healthy too. Sounds nice, i have tasted the cornice cream but this is new. Sounds like a healthy energy drink, nice pics too! sounds interesting...corn drink looks delicious...will try this for sure! Never knew u cud make an energy drink out of corn.. Looks really interesting ! 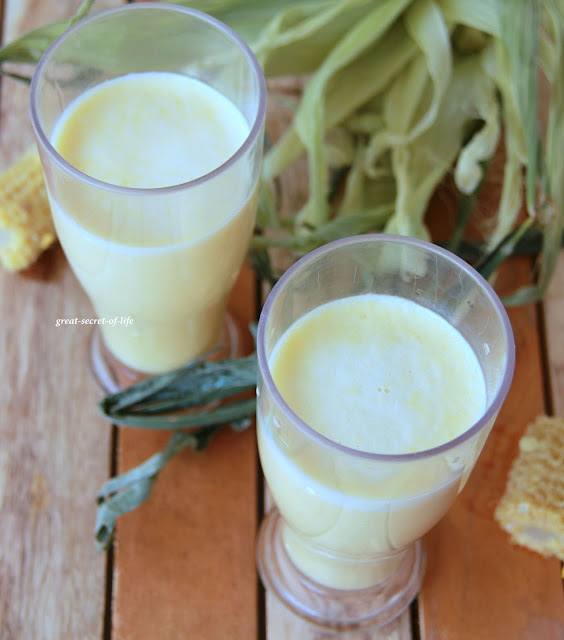 interesting and delicious corn drink. 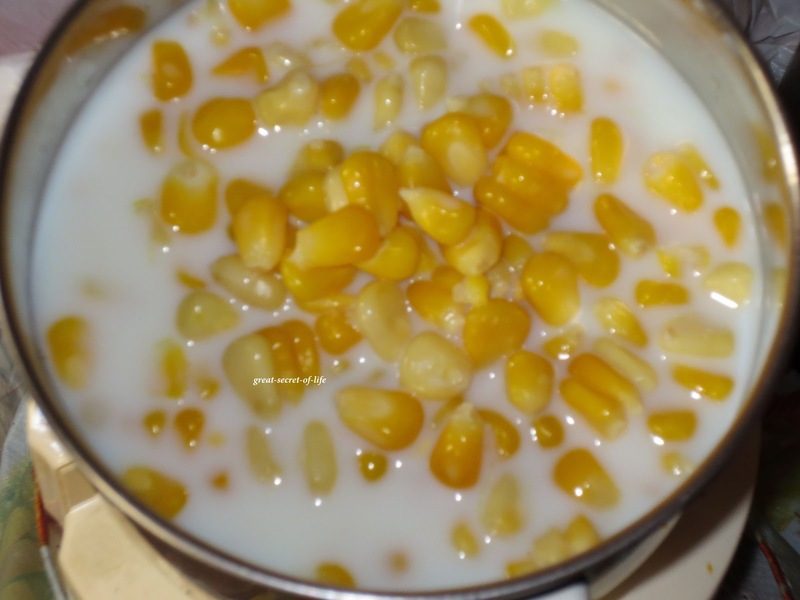 I get them in small tetra pack in Chinese store, never thought this corn milk can be made at home,thanks for sharing. 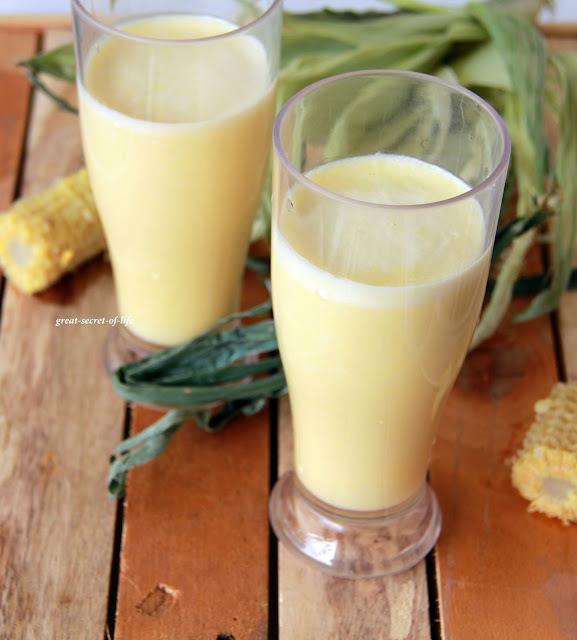 Delicious corn drink Veena. 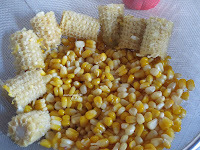 I have corn portage in Japan.